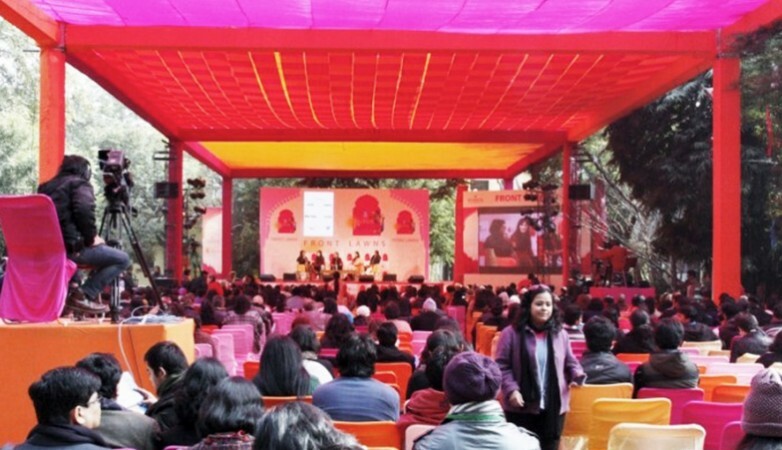 The ZEE Jaipur Literature Festival is a unique celebration of writing that has grown into something far bigger and more wonderful than anything we could ever have hoped when we first conceived of this Festival 11 years ago. Jaipur remains one of the world's most beautiful cities with remarkable literary and artistic traditions. It is the perfect setting for what we pride ourselves for, is the most democratic and egalitarian book festival in the world. And when we ask an author to come to Jaipur, he or she rarely says no, and this year we are proud to present a galaxy of the world's greatest writers and thinkers, including constellations of Harvard, Yale, Oxbridge and St. Stephen's faculty as well as glittering cohorts of Booker, Pulitzer, Sahitya Akademi and Samuel Johnson winners. It's like a super-university pitching its tents in Jaipur for five days and opening its doors to all comers. Anyone who wishes to see the draw should visit Jaipur Railway Station one evening and see all the book-loving students camping on the platforms. They may not be able to afford a hostel bed but they've found ways of getting to Jaipur from Tamil Nadu, Assam and Kashmir to supercharge their minds. Our audiences are the youngest, brightest and most enthusiastic of any festival I know. This year, we have so much to offer that it is difficult to know where to begin. My co-director Namita Gokhale has written eloquently on the extraordinary list she has put together in all its multi-linguistic glory. I am equally proud of my international list which this year is, I believe, one of the most cerebral and intellectually-stimulating we've ever fielded. We have gathered talent from across the globe -- from Afghanistan to Patagonia and Tasmania to Turkey -- to present writers of genius as diverse as the great literary critic Homi K. Bhabha, travel writer Redmond O'Hanlon, terror expert Peter Bergen and the theoretical particle physicist Lisa Randall. We import some of the world's most admired playwrights and novelists, including Tom Stoppard, Michael Ondaatje and Amy Tan. We delve deeply into areas of world literature we have so far failed to explore, notably the novelists and poets of Scandinavia, Syria and West Africa while returning to examine eternal classics such as the works of Conrad, Shakespeare and Virginia Woolf. We will also explore a vast range of subjects from the history of headhunters to nature writing and the decline of pollinating insects; from the Russian Revolution to the perils of celebrity; study biographies from Lenin to Cleopatra, Bin Laden to Bruce Chatwin; we hear tales of book smuggling in Timbuktu and river journeys up the Congo; we look at the art of film and screenwriting and ask whether the page is mightier than the screen; we probe the reason for the Reformation, ask how to save the Ganges and uncover the secrets of al-Qaeda; we share the agonies of Syria and Palestine and the pleasures of Chinese philosophy and Sufism, as well as learning about dinosaurs and dark matter. It's going to be an incredible few days!